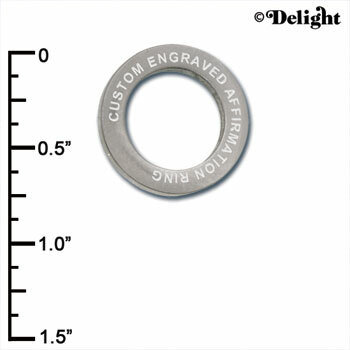 Custom Affirmation Ring is approx. 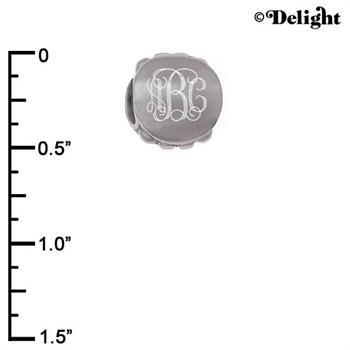 0.77 x 0.77 x 0.11 inches (HxWxD).Can be engraved up to 40 spaces. 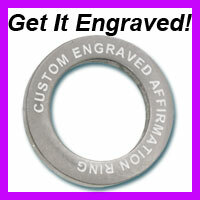 Custom Affirmation Ring is approx. 0.77 x 0.77 x 0.11 inches (HxWxD). 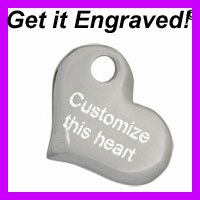 Can be engraved up to 40 spaces. Custom Eternity Ring is approx. 0.51 x 0.51 x 0.09 inches (HxWxD). 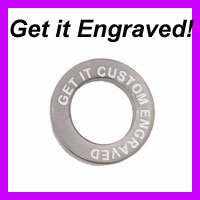 Can be engraved up to 25. 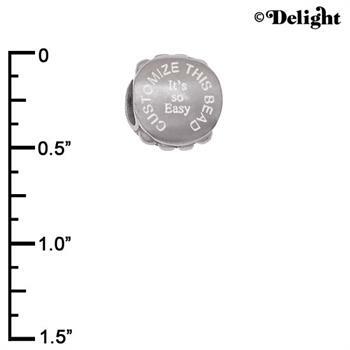 Stainless Steel Bead is approx. 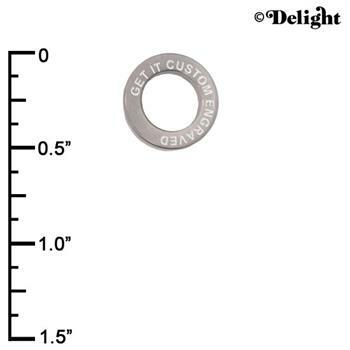 13x13x9 mm (HxWxD) Hole size 5.5 mm. 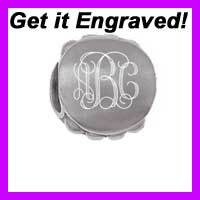 Can be engraved on both sides. 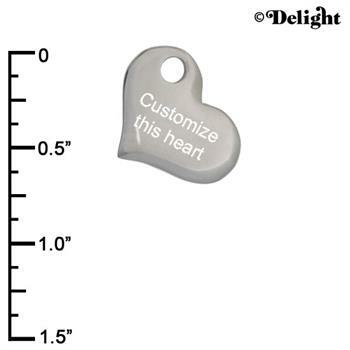 Stainless Steel Heart is approx. 0.60 x 0.75 x 0.10 inches (HxWxD). 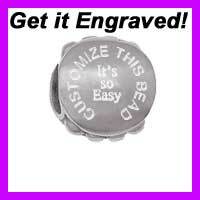 Can be engraved.